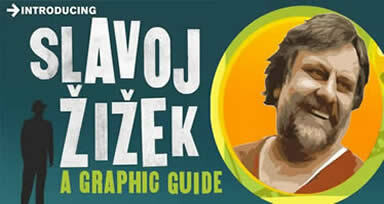 An introduction to the thinking of the political philosopher and cultural critic Slavoj Zizek. Slavoj iek’s frequent newspaper op-eds, and popular academic books have gained him a wide following and international influence. Foreign Policy listed him on its 2012 list of Top 100 Global Thinkers, calling him "a celebrity philosopher." He has written widely on political theory, film theory, and theoretical psychoanalysis, and went on to achieve international recognition as a social theorist after the 1989 publication of his first book in English, ‘The Sublime Object of Ideology’, which disputed a Marxist interpretation of ideology as false consciousness and argued for ideology as an unconscious fantasy that structures reality. His later writing tends to concentrate on political theory, with a string of books covering a wide range of topics. The scope of his output can make his overall thinking hard to pin down, and so it is with great pleasure that we welcome the Central St Martins lecturer Christopher Kul-Want to discuss his book ‘Introducing Slavoj iek’. Christopher will be giving an overview of iek’s life and writing, and pulling together the threads that run throughout the long body of his work.